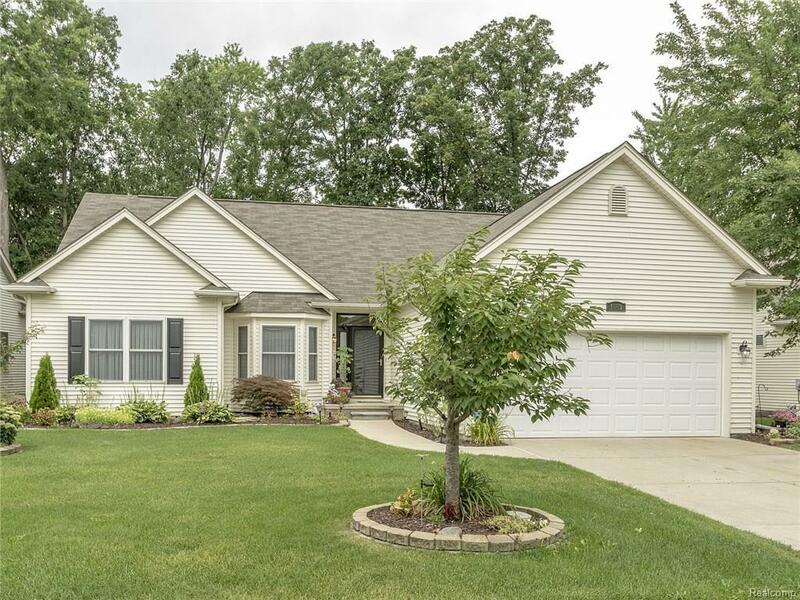 Beautiful 3 Bedroom, 2 Bath Ranch Site Condo w/ Finished Basement in Desirable Fieldstone Village. Open Floor Plan w/ Gorgeous Hardwood Floors. Great Room w/ Fireplace, Library w/ French Doors & Bay Window. Spacious Kitchen w/ Wood Cabinets & Pantry. Lovely Sun Room w/ Walkout to Deck. Large Master Suite w/ Walk-In Closet & Bath. Spacious 2nd Bedroom on Entry Level. 1st Floor Laundry Room. Finished Lower Level Features Family Room, Rec Room/ Game Room, 3rd Bedroom w/ Egress Window, Owens Corning Basement System, Large Storage Rooms & Plumbed for Bath. Private Backyard w/ Beautiful Deck and Landscaping. Complex Features Community Pool, Tennis & Basketball Court. Association Dues cover use of these facilities, lawn mowing, snow removal for street, driveway and walkway in Winter. Conveniently Located in close proximity to Expressways, Great Lakes Crossing, Golf Course, The Palace, Oakland University, and more. All M & D Approx.